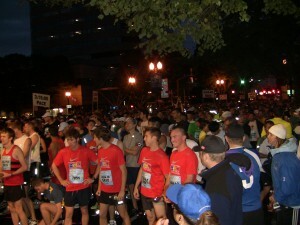 Here is a fun assortment of photos from the Portland Marathon for you to enjoy. Obviously many of them are about Josh but we took a few others whenever we had the Chance. Josh and Loren as we prepared to warm Josh up. We got some interesting looks from the groups around us since he was the only person near the starting line actually doing a warm-up. I thought this was weird that everyone else was willing to just stand there for 40 minutes. The start was pretty intense as the Mayor of Portland, Sam Adams did the countdown for each group as they left. Near mile 20, Josh looked strong as he stayed with the small group all running with the 3 hour pace setter. The final few steps of the 26 mile run were without a doubt the most difficult yet satisfying of the entire day for Josh. Thanks again Josh for the great effort and memories! Great news! 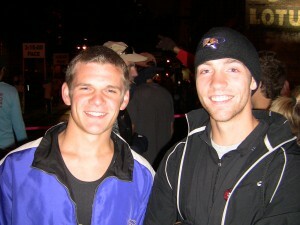 I am looking forward to future Boston Marathon Quest posts!